Let’s be honest, choosing a wedding date is no easy task! It is also one of the first decisions you make in the wedding planning process. I remember this for my own wedding and we went back and forth for a while on what season to get married in. 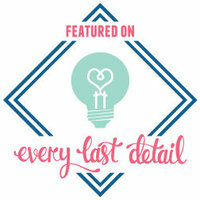 We had to consider a lot of the items on this list before settling on a date! Length of engagement. Talk with your fiancé about how long you’d like to be engaged. It’s different for everyone but make sure it’s enough time to adequately plan the wedding you’ve been dreaming of! Favorite season. Is Fall your favorite season? Is your favorite color garnet? You might have a harder time finding garnet items for a spring or summer wedding. Try to choose colors that go with the season you’re looking at on the calendar. If this is important to you, look at that specific month(s) first. Weather. This is so important, especially for your guests! In Florida, consider the heat, rainy season, and hurricane season. Summer weddings are very hard to plan for weather in Florida. On my wedding day it rained sideways the entire day. I also knew of someone who had to cancel their wedding because of a hurricane. How heartbreaking! Often times winter in Florida has the most pleasant weather. Your/your family’s schedule. Is a certain time of year always super busy at work for you? Are 3 cousins or siblings graduating, getting married, or having a baby in the same month you’re looking at for your wedding? Try to work around close family members & friends as best you can, but remember it’s impossible to pick a date that is perfect for every person you’re inviting. Vendor availability. 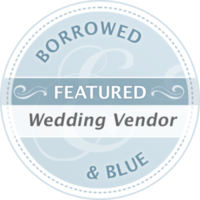 Have your heart set on a venue or certain vendor? Be sure to check with them as soon as possible to make sure they’re available on your date. Friday, Saturday, or Sunday wedding. Often times venues will have a discounted rate for non-Saturday weddings. 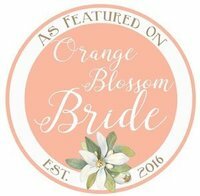 If your heart isn’t set on saying “I Do” on a Saturday, this is a great option that will likely have more availability for your vendors. Christmas season, your guests’ wallets may be lighter as well. Sports seasons. If you or your family are into sports, check the schedule to be sure a big game or the playoffs isn’t during your ceremony (or honeymoon if your hubby will be wanting to watch)! Florals in season. Want peonies for your big day but want to get married in November? Probably not going to work out. If a certain flower is important to you, consider the seasonal availability when choosing what month to get married. City events. Be sure to check that the city you’re getting married in isn’t having a big festival, sporting event, graduation, etc. When my husband and I were trying to pick a date, we originally were thinking the first weekend in January because the weather would be nice (it was in South Florida) and it wasn’t a busy season at work for us. But then we started considering #7 and #8 on this list… I didn’t realize just how much higher the hotel rates would be for our guests that time of year. I also considered that our guests may not be able to afford a trip right after Christmas. My family was quick to point out that was Bowl season for College Football and what if their team made it to the championship? (They did). Although this wasn’t highly important to me, it was to most of my family and friends and I didn’t want them to be missing an important game (or watching it on their phones) at our wedding! At the end of the day, it is really hard to pick a date considering ALL of these things, but these are good to think about and see what’s the most important to you. Remember, when your wedding day comes, it will be a beautiful day celebrating you two no matter what happens.